“Music is not limited to the world of sound,” it says. “There exist a music of the visual world.” The doodle then encourages the user to “click around” to make their own compositions. His youngest daughter, Angie Fischinger, helped Google into creating this project and shared some of her memories of her father in a blogpost. She told Google that her father is very dedicated to his craft but difficult to work with. She told Google she was proud that people still acknowledged his works and contributions to art. For a lot of people Oskar Fischinger is a legend in the film industry. Starting out as an apprentice organ-builder until his bosses was called for duty during the first World War. The following year, he too was called to serve but he was rejected from combat duty because he was sick. After the war his family moved west to Frankfurt, where he attended a trade school as an apprentice once again. He eventually graduated with an Engineer’s Diploma. While there he met Walter Ruttman. Inspired by his work, he soon experimented with wax and clay and invented a Wax Slicing Machine. The Machine caught Ruttman’s eye and Fischinger licensed the machine to him. In 1924, he was hired by an American entrepreneur, Louis Seel. Seel asked him to create satirical cartoons aimed at a mature audience. In 1927 he moved from Munich to Berlin to run away from debt collectors. There, he borrowed money and set up his own studio that does special effects for movies. He was hired to work on the silent film, Woman in the Moon, directed by Fritz Lang. While working on the film he also experimented with charcoal-on-paper animation and created several abstract animations he called Studies. These were released by the German record label, Electrola. The Studies became popular throughout Europe and some of them even managed to make their way to Japan and the US. In 1932 he married his first cousin, Elfriede. When the Nazis took power one year later, they denounced the abstract film and art as “degenerate art”. He continued to make movies and also found work in making commercials and advertisements. It was when he worked on the Muratti Greift Ein commercial and finished his Komposition in Blau. These two made its way to the United States. When it was played in Hollywood the audience were impressed. An agent from Paramount Pictured soon contacted him and asked if he would like to work in the US. He agreed. He arrived in the US in 1936 he was given an office in Paramount Pictures but soon had a falling out with Paramount and left. He wasn’t as successful in the US though he did contribute to films like Walt Disney’s Fantasia and Pinocchio. It was in 1940 when he invented the Lumigraph. He hoped to make it a commercial product but eventually failed. He gave a number of performances with it in the 1950’s, in Los Angeles and in San Francisco. He was also making commercials in the 1950’s. 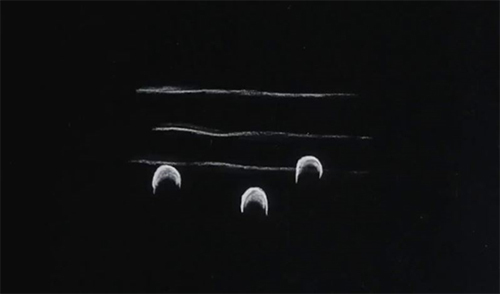 In 1964 the Lumigraph was used in the film The Time Travelers. 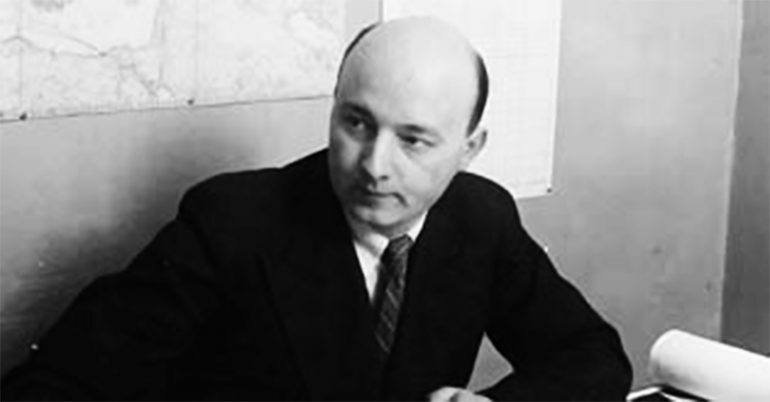 Fischinger finally died in 1967 in Los Angeles at the age of 66.